Mohammad Azharuddin pronunciation (born 8 February 1963 in Hyderabad, then Andhra Pradesh now Telangana, India) is a former Indian cricket captain and politician. He was a middle order batsman and captained the Indian cricket team in the 1990s. He was elected as a member of the Parliament from Moradabad constituency on an Indian National Congress party ticket. Azharuddin was implicated in a cricket match-fixing scandal in 2000 and was banned by BCCI for life. On 8 November 2012, the Andhra Pradesh High Court lifted the ban describing it as "unsustainable". Azharuddin was born in Hyderabad to Mohammad Azizuddin and Yousuf Sultana on 8 February 1963.He attended All Saints High School, Hyderabad and graduated from Nizam College, Osmania University with a Bachelor of Commerce degree. Azharuddin made his debut for the Indian cricket team in Test cricket in 1984 against England at Eden Gardens in Kolkata on 31 December 1984 and hit three centuries in his first three matches. 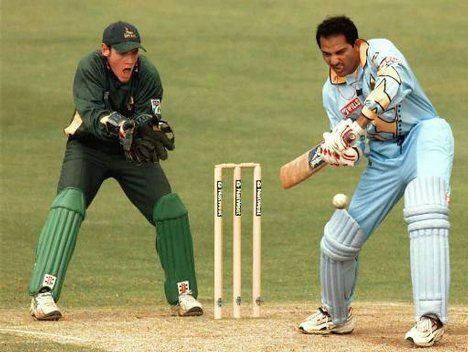 Azharuddin scored a total of 22 centuries in test cricket, at an average of 45 and seven in ODIs at an average of 37. As a fielder, he took 156 catches in ODI cricket. He played 99 test matches with a highest score of 199, scored against Sri Lanka. He was also the first player to play in 300 ODIs. He too has the record for scoring most number of hundreds in consecutive test matches from debut(3). Ajju Baba became the captain of the Indian team succeeding Krishnamachari Srikkanth in 1989. He led the Indian team in 47 Test matches and 174 One Day Internationals. He led the team to victory in 90 ODIs, the highest until surpassed by M.S. Dhoni on 2 September 2014. His 14 test match wins as captain was a record until it was beaten by Sourav Ganguly, who has 21 test match wins to his name. Azharuddin was accused and found guilty of match-fixing in the match-fixing scandal in 2000. Then South African captain Hansie Cronje indicated that Azharuddin was the one to introduce him to the bookies. The ICC and the BCCI banned Azharuddin for life based on a report by the Central Bureau of Investigation. He was also the first player ever to be banned for spot fixing. On 8 November 2012, a Divisional Bench consisting of Justice Ashutosh Mohunta and Krishna Mohan Reddy of the Andhra Pradesh High Court revoked the ban imposed. Azharuddin was a middle-order batsman of India. He was known for a graceful and fluid batting style. John Woodcock, a cricket writer, said of him, "It's no use asking an Englishman to bat like Mohammad Azharuddin. It would be like expecting a greyhound to win the Epsom Derby." 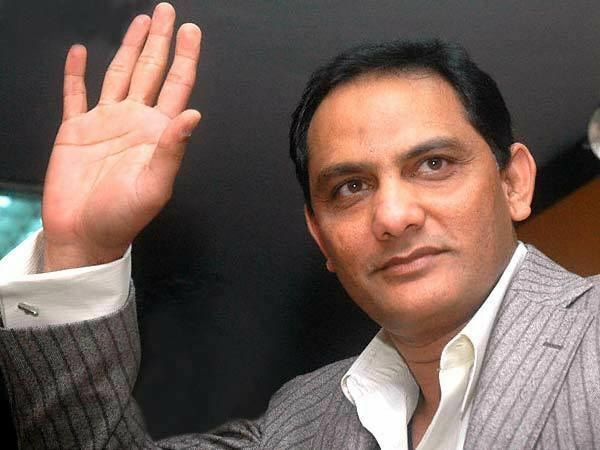 Retired cricketer Venkataraghavan stated that "Azharuddin had the best wrists in the game". Azharuddin formally joined the Indian National Congress party on 19 February 2009. He won the Indian general election, 2009 from Moradabad in Uttar Pradesh. Azharuddin married Naureen in 1987 had two sons with her. In 1996, he divorced her and married actress Sangeeta Bijlani. The marriage ended in a divorce in 2010 reportedly due to Azhar's alleged affair with badminton player Jwala Gutta, which was declined by the player. His younger son Ayazuddin died in a road accident in 2011.